Implementing an LMS can be a daunting task in itself, but when you combine that with integrating it with your existing systems, you will most likely need to turn to an expert. 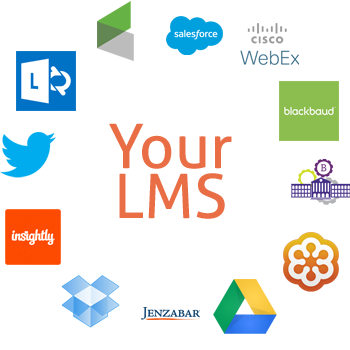 Integrations allow you to automatically pull data from outside applications into your LMS. This means less switching between apps and increased efficiency. Below you will find a list of providers that are recommended by LMS.org. They will be able to help you integrate your Learning Management System with dozens of external services to help your organization run more smoothly. DHx Software is a strategic software development and analytics firm working with educators to produce significant business outcomes and improved learning experiences. DHx has extensive experience developing LMS and SIS applications from scratch, deploying LMS solutions in complex environments, and integrating learning management systems with other applications, including student information systems and CRM applications. Do you need to integrate your Learning Management System with your existing applications?